Dust-Off Helps Clean Electronics of Sticky Candy-Coated Fingerprints This Halloween – Falcon Safety Products, Inc.
Dust-Off Helps Clean Electronics of Sticky Candy-Coated Fingerprints This HalloweenBranchburg, NJ (October 31, 2012) – Dust-Off®, the leading brand of consumer electronics cleaning products, is helping consumers keep their electronic devices free of sticky candy-coated fingerprints this Halloween with their extensive line of screen cleaning products. 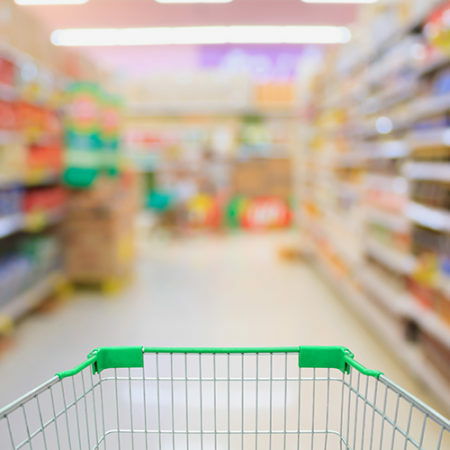 It’s the time of year again when homes are overloaded with sugary candy, and children are hunting for the one house that gives away the king size chocolate bars. 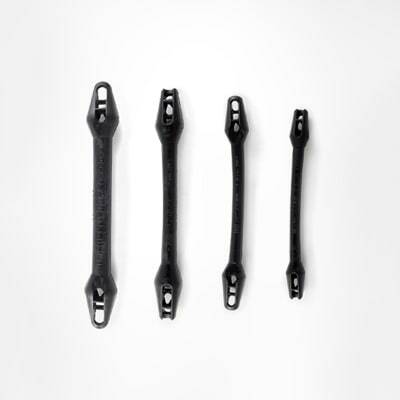 Sticky candy and melted chocolate can do horrors to children’s hands and electronic devices. Whether it’s a smartphone or television, Dust-Off’s screen cleaners are a safe and effective way to clean all types of screens. Smart Phone – Smart Phones are great tools for planning out routes while Trick-or-Treating. Before going out make sure to use Dust-Off’s Smart Phone Cleaning Kit to safely clean any smartphone screen of dust and sticky fingerprints, so Trick-or-Treaters can easily find their ways. 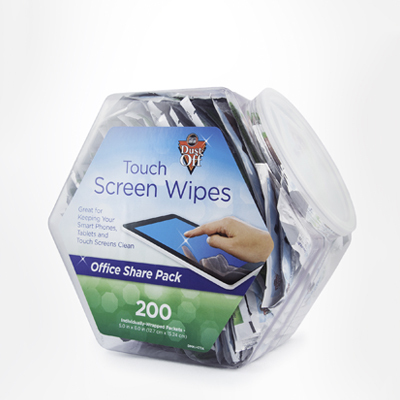 This Kit features the Screen Spray and Screen Shammy™ Microfiber Cloth for optimal results. Camera – In order to capture all the spooky costumes and Halloween party festivities without fingerprint smudges on lenses or screens use Dust-Off’s Portable Screen Cleaning Kit. This Kit includes the Screen Spray Pen and Microfiber cloth that offers a quick, easy and safe solution that can be used on any camera, from point-and-shoots to high-end DSLRs. 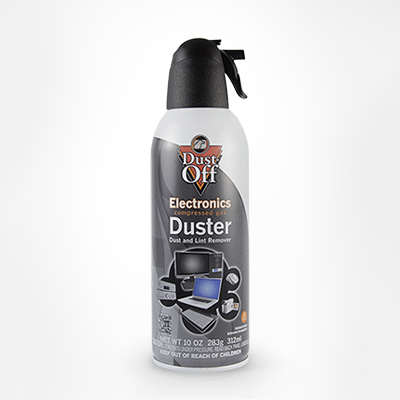 LCD/Plasma TVs – Enjoy horror movies fingerprint and dust free with Dust-Off’s LCD & Plasma Screen Care Kit. The kit is safe and effective for cleaning LCD and plasma LED TVs. 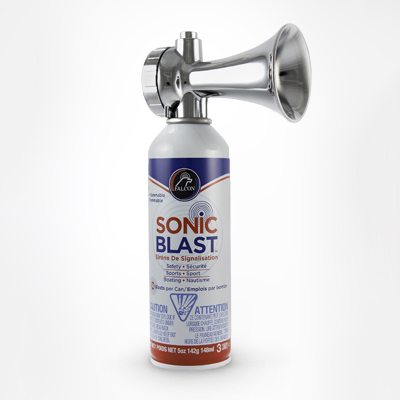 The LCD & Plasma Screen Care Kit’s spray can be sprayed directly on screen because of the exclusive “no-run” formula. Its non-aerosol formula contains no VOC’s or alcohol allowing users to clean their TVs without damaging the screens. 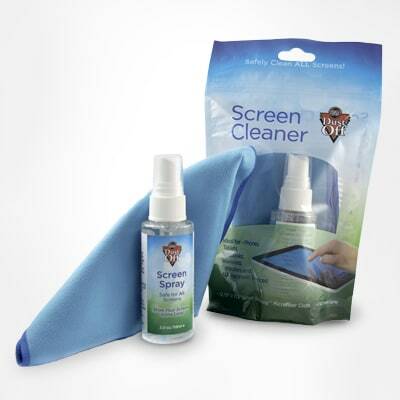 The Screen Shammy™ Microfiber Cloth safely wipes and polishes screens clean without leaving behind streaks or residue and is machine washable for repeat use.